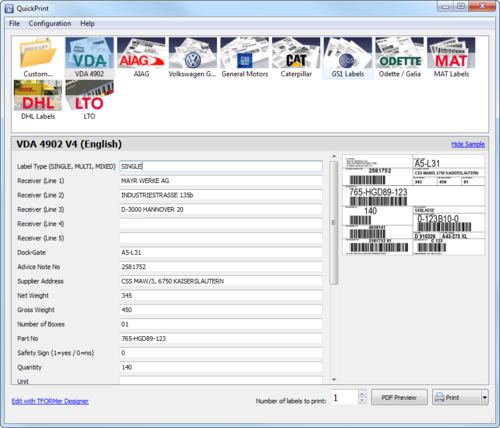 Our company has managed to carve a niche in the market for the excellent services we offer to the customers such as the Barcode Label Printing Software which are used for generating the printable barcodes as per the client specifications and they can be easily used without any expert technical knowledge. These services have been priced at very reasonable rates in the market and they portray the data in several widths and spacing of parallel lines and they are high on demand. A responsive customer care organization, we are engaged in offering printing job work for barcode labels and stickers. Further, we also provide barcode printers, barcode label printers, and scanners of CITIZEN Brand Printers, Andhra Pradesh, India. The range is available in the models like CLP621, CLS700, CLP8301, CLP621Z, LS1203, LS2208, Unitech HT630 and HT660. These are known for high resolution, high speed throughput power, fast & accurate reading of standard linear symbologies, minimum startup time, and low maintenance. Owing to these features, our range finds application in retail checkout, inventory management, invoicing in offices, shipping / receiving control in factories, and warehouse management. Our comprehensive presales advice, economical working solution, efficient support & delivery of products, incredible value to clients money have enabled us to be their prominent choice. This is further apparent from our long list of esteemed clients across the domestic market.